The Delbert Day Cancer Institute at Phelps County Regional Medical Center (PCRMC) has an exciting opportunity for a visionary, experienced hematologist/oncologist to serve as the Medical Director of Medical Oncology and Infusion. The Medical Director of Medical Oncology and Infusion will serve as the primary clinical leader for medical oncology services and will work collaboratively with PCRMC hospital leadership, PCRMC Medical Group leadership and the DDCI Medical Director to develop and evaluate the medical oncology program, provide strategic leadership and vision, coordinate the delivery of integrated patient care, collaborate with a multidisciplinary cancer team and grow educational programs and activities. The Delbert Day Cancer Institute (DDCI) is nationally accredited by the American College of Surgeons Commission on Cancer and is an affiliate of Siteman Cancer Center at Barnes-Jewish Hospital and Washington University School of Medicine in St. Louis. The DDCI provides exceptional, integrated cancer care services to patients and their families living in south-central Missouri. The DDCI includes the following comprehensive services: radiation oncology, medical oncology and hematology, general surgery, otolaryngology, urology, gastroenterology, obstetrics and gynecology, orthopedic surgery, neurology, nephrology, pulmonary and critical care, cardiology, physical medicine and rehabilitation, supportive care, wound ostomy care, diagnostic imaging, chemotherapy and infusion, cancer rehabilitation, cancer resource center, dietary support, genetic counseling, nurse navigation, social services and financial counseling. Phelps County Regional Medical Center (PCRMC) is an exceptional healthcare system located in Rolla, Missouri. Rolla is located 100 miles from Springfield, Missouri, and 100 miles from St. Louis, Missouri, on Interstate 44. PCRMC is licensed for 242 patient beds and provides an array of diagnostic and medical services. PCRMC is one of Missouri’s leading regional referral centers, serving over 200,000 residents in south-central Missouri and is the area’s largest employer with over 1,800 employees. PCRMC is a nonprofit, county-owned hospital governed by a five-member, elected board. $4,000 yearly for CME membership dues, licensing expenses, etc. The nationally accredited Delbert Day Cancer Institute at PCRMC houses all cancer care services under one roof for convenience and continuity of care for patients and their families. The DDCI is housed on the main campus in Rolla and located off of the north side of the PCRMC Medical Office Building. 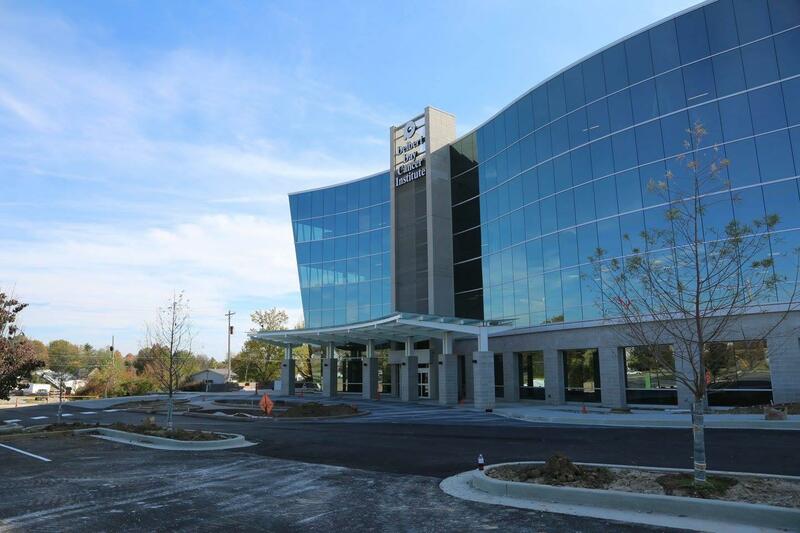 The DDCI includes designated areas for radiation oncology, medical oncology, laboratory and imaging services, an infusion room, physician offices and areas for a community conference center, retail space and café. All cancer treatment and support services are centrally located in the DDCI in order to ensure the best possible patient experience and to ease the burden of having to travel multiple locations for treatment. The Delbert Day Cancer Institute (DDCI) earns national accreditation from the Commission on Cancer of the American College of Surgeons. Because it is a CoC-accredited cancer center, DDCI takes a multidisciplinary approach to treating cancer as a complex group of diseases that requires consultation among surgeons, medical and radiation oncologists, diagnostic radiologists, pathologists, and other cancer specialists. This multidisciplinary partnership results in improved patient care.